Better Public Services Result 10: People have easy access to Public Services, which are designed around them, when they need them. We’re making it quicker and easier for New Zealanders to use government services digitally. A big part of Result 10 is reducing the hoops people need to go through to get what they need. Result 10 is centrally led by the Department of Internal Affairs and collaboratively delivered by agencies. This target still applies to December 2017. In August 2017 the vision was refreshed: “People have easy access to Public Services, which are designed around them, when they need them” and a new target was set. 80% of the transactions for the twenty most common public services will be completed digitally by 2021. More and more, government’s digital services will be easy to use because they’re designed with people in mind. Where it makes sense, services will be designed and built around people’s life events and needs, rather than designed to fit within traditional agency boundaries. We are transforming the way people experience their interaction with government for complex, multi-agency services. Research indicates that the more people deal with government the more pain points they experience. Agencies tend to provide services within their agency boundaries and do not take into account the person’s wider needs and circumstances. This is what we want to change. In the future, services will be seamless, integrated and proactive. People will not need to navigate multiple government departments and (if appropriate) not even have to apply for their entitlements. Integrated services by delivering joined-up government services, driven by life events. Digital transactions by moving to digital channels and supporting life event initiatives. Proactive delivery by delivering entitlements to customers without them having to apply. Information sharing by allowing consent-based personal information sharing. Digital identity by supporting customer identity in a secure online environment. 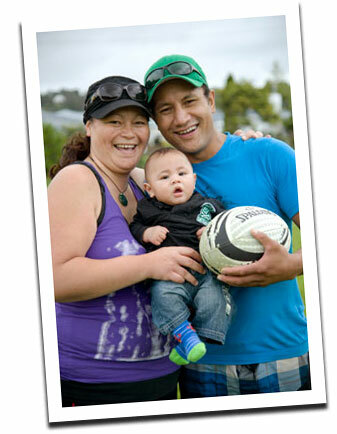 Read the Result 10 Action Plan which shows how we’re making access to public services easier for New Zealanders. For more information about this and other results areas, see Better Public Services on the State Services Commission's website. Further Result 10 information is available on ict.govt.nz, including Result 10 customer research. Digital uptake will be measured against New Zealanders’ most common transactions with government. Where transactions are already offered digitally, the focus will be on improving the customer experience to increase uptake to 80%. The twenty transactions are in the final stages of being confirmed; the twenty most common transactions will be determined based on “citizen transaction volume” - the transactions people use the most – and are likely to include, filing and paying individual tax, paying your vehicle licence, applying for, renewing or replacing a New Zealand Adult or Child Passport, and applying to be added to the electoral roll, or to have details on the roll updated.